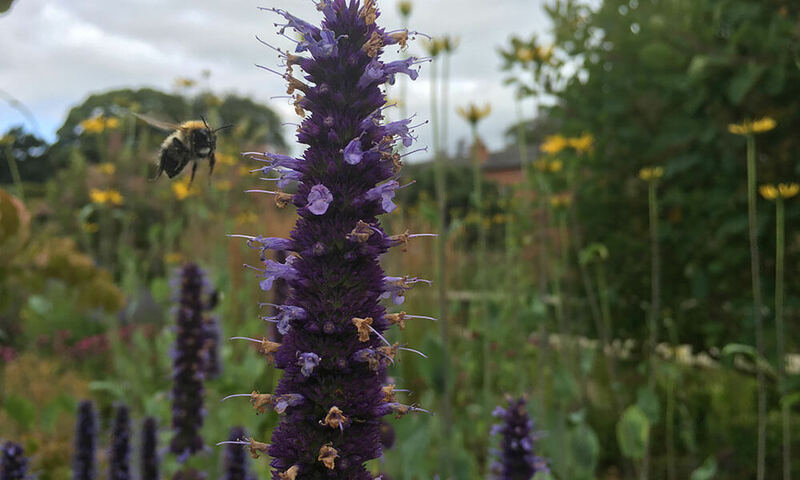 There’s still time to get plant supports in place, before everything gets too large, develops a mind of its own and heads off in directions that may suit it – but doesn’t add to the beauty of the garden. 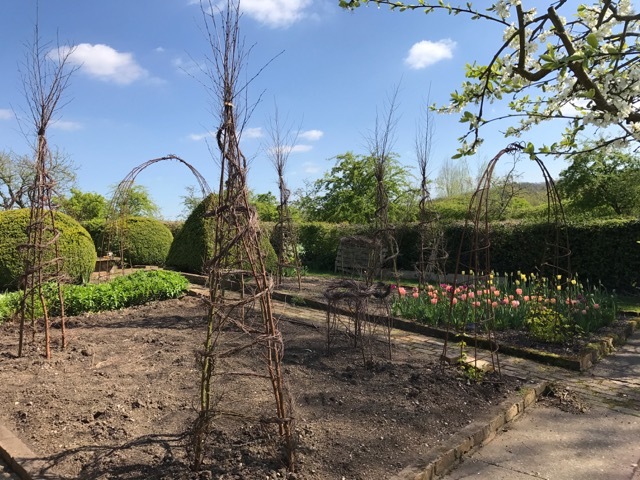 With this is mind, I recently attended a Staking & Supports course given by Sarah Raven, whose garden at Perch Hill could not be bettered when it comes to plant supports, the majority of which are made from natural materials. 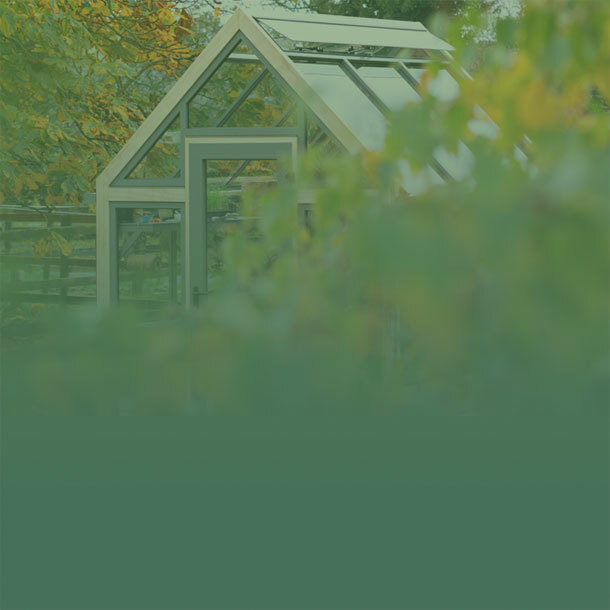 Coppiced chestnut, willow, hazel and silver birch are all used to create sturdy and decorative frameworks to keep plants upright or support them as they climb. 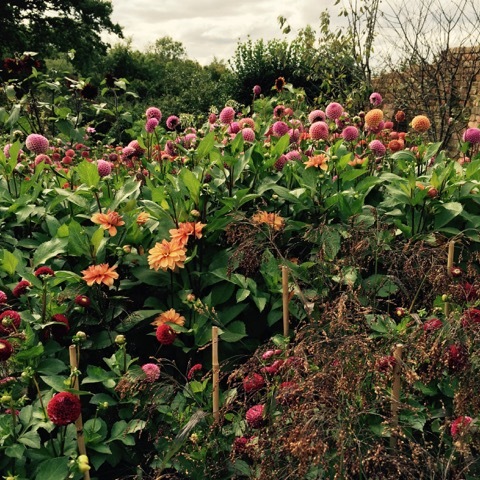 Anyone planning to plant a cutting garden would find the course invaluable – and I now know how I can do it better next year. 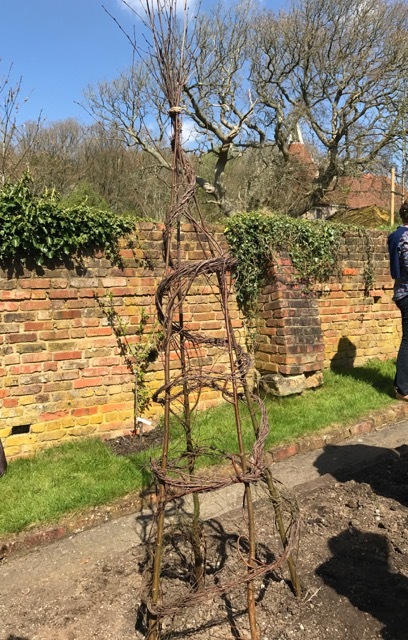 The most important thing I learnt is that my bundles of coppiced silver birch need to be taller if I am going to create the tall, elegant structures that we made at Perch Hill, rather than the short, dumpy ones that I’ve managed at home. 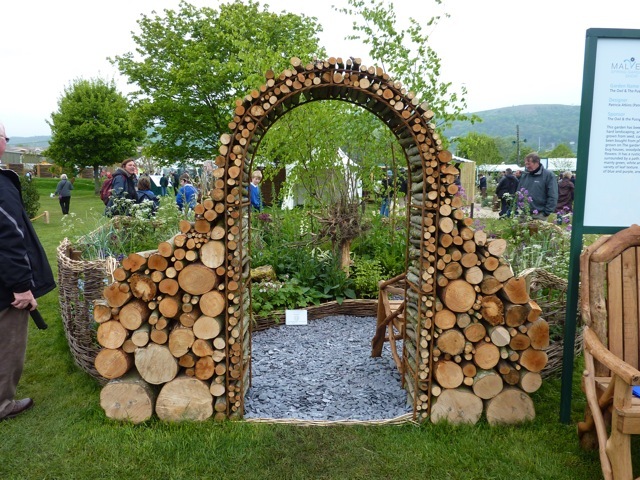 I get my silver birch from the man who supplies our logs and up until now he has cut them to the length that will fit in the car – I will ask for them to be delivered in future. 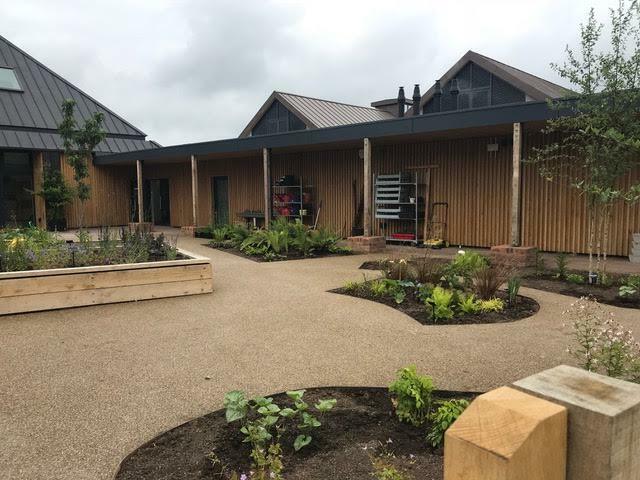 According to Sarah, the best suppliers provide the materials to build Point-to-Point hurdles, but you need to be living a very rural life to have them nearby. 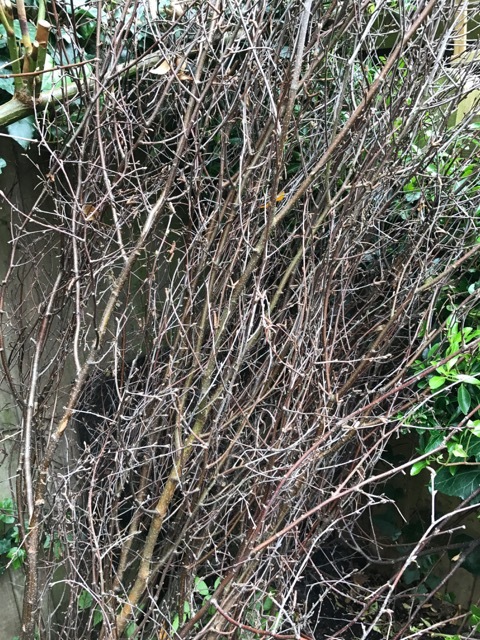 The next thing that I learnt is that you need a really good depth of soil (and possibly a metal stake) to push the branches deep into the ground so that when you weave the branches together they stay in position. 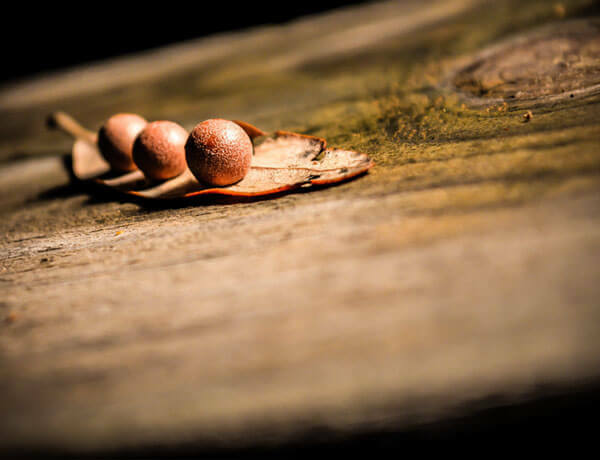 For a decent size support you will need about seven branches, but you can make something more slender with just four. 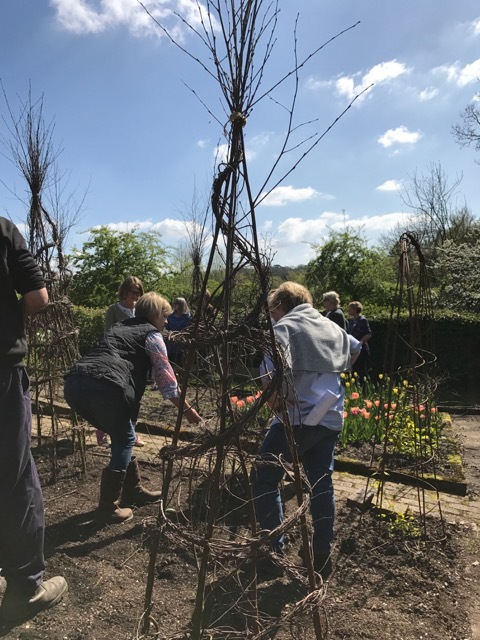 Starting close to the ground you gather up all the fine side branches from the first stem and twist them round on themselves and then bend them across to the second stem and twist both lots of side branches together, before moving on to the next stem. 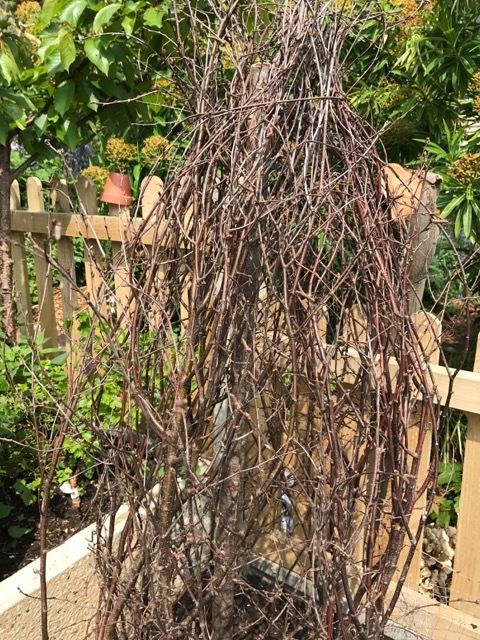 The twiggy ‘rope’ can gradually ascend towards the top of the structure or can form a series of circles. 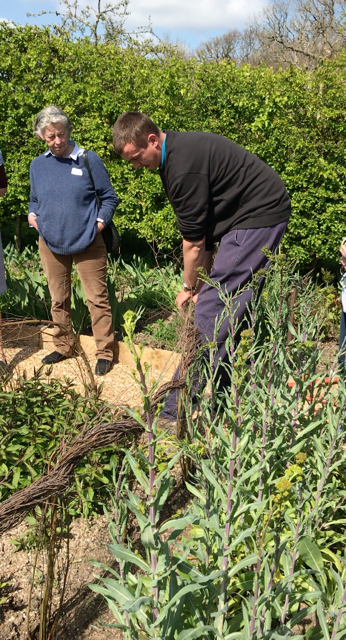 Sinuous plant supports, using the same silver birch branches can be woven around tall perennials such as delphiniums and will work as well, but far less expensively, than the metal alternatives. 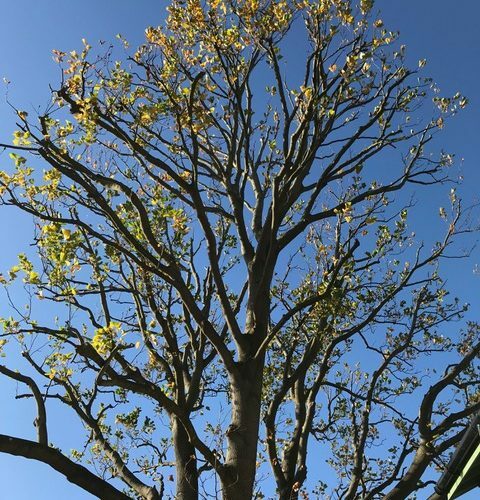 Instead of twisting and weaving the fine branches vertically they are woven horizontally. 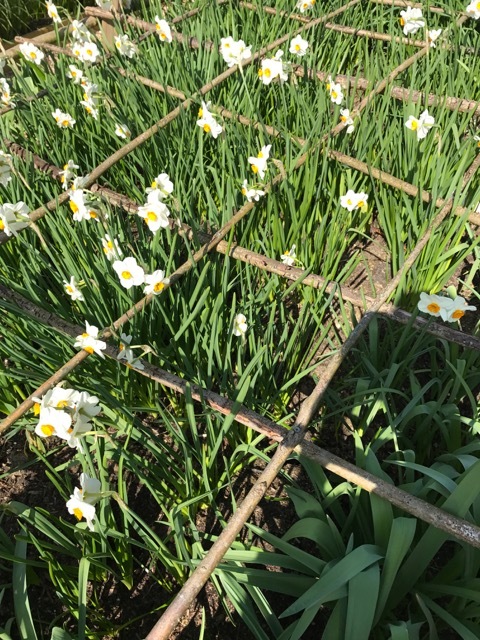 At Perch Hill, some of the cutting garden beds have a permanent horizontal framework of hazel rods that stops the narcissi flopping in spring and then provides support for the dahlias that will push through from below later in the year. 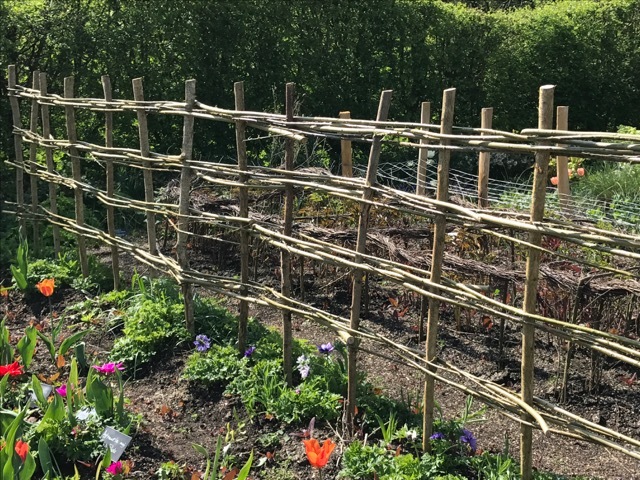 As Sarah grows new flowers for cutting she is devising ways of supporting them – this ‘fence’ of hazel uprights interwoven with willow will support a new planting of perennial sweet peas – I will be interested to return later in the year and see how they look, but it occurred to me that this type of informal fence would be an excellent divider in a garden and would look lovely with a not too robust rose trained along its length. 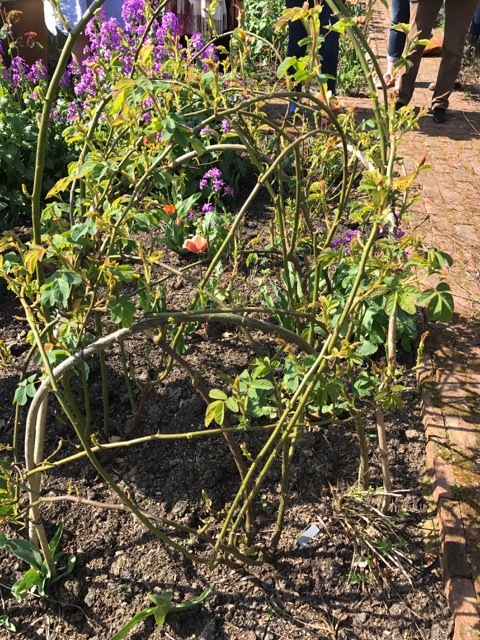 On the subject of roses – and the training thereof – at Perch Hill they have started to emulate the Sissinghurst method of training shrub roses into balloon shapes by bending the new growth and tying it to hazel hoops that have been pushed into the ground. 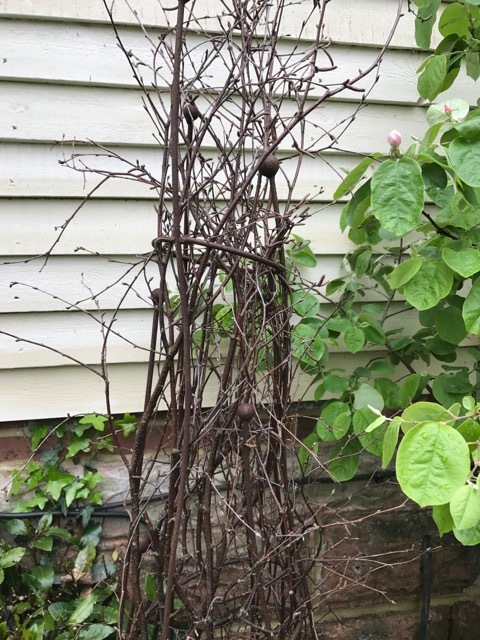 Not only does this keep the roses under control, it also encourages far more flowers as multiple side shoots appear along the length of each stem. So, that’s how the experts do it. 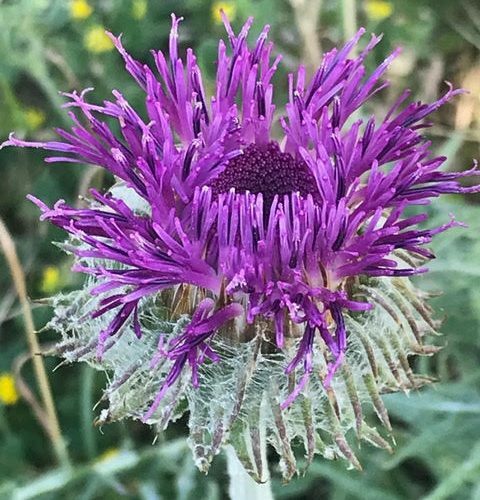 Meanwhile back at home, my efforts are more modest, but I have managed to give support of one kind or another to the plants that are most vulnerable to flop, or to being knocked over by the wind. 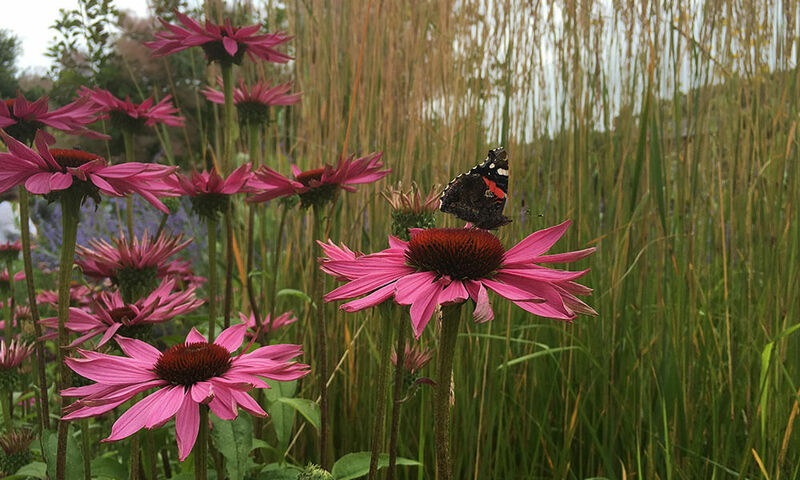 In the borders, tall perennials including Michaelmas daisies and Boltonia have hazel cages that will stop them smothering their companions. 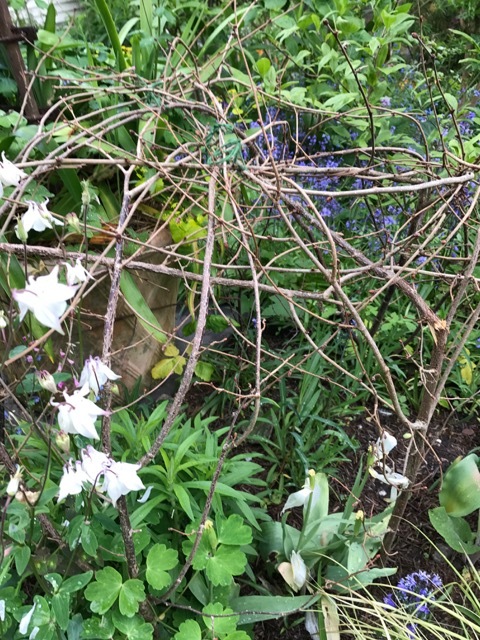 I compromise when its comes to the clematis – they already have decorative metal supports – so I pack them with silver birch branches to soften their appearance and I find they prefer to cling to twigs rather than the metal. 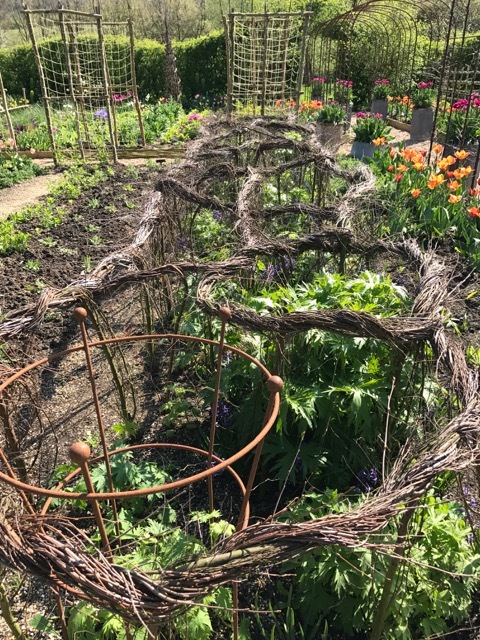 Meanwhile in the vegetable plot, my dumpy unwoven silver birch support may not have the elegance of those at Perch Hill, but I am hoping that the gem squash will scramble up it in due course. 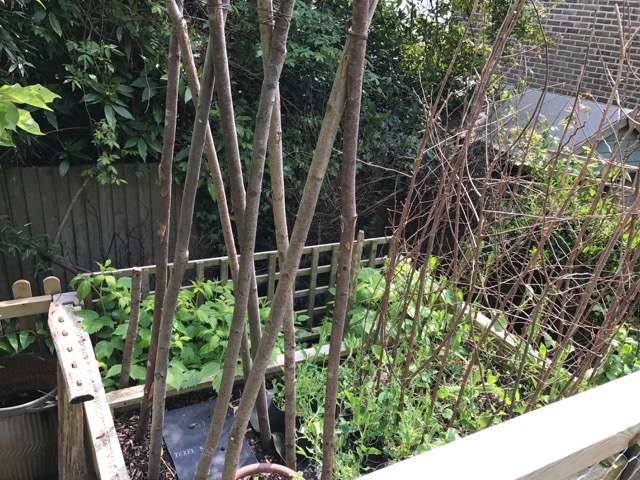 The beanpoles are in place ready for runner beans and the sweet peas are scrambling up the cage of hazel twigs that I have woven around them. Apparently they are happier growing round a circular support, rather than a wigwam where they all compete for the same space when they reach the top.